...and provides your visitors with their first impression of your company. Often neglected, yet for only pennies per square foot, proper blacktop maintenance more than doubles blacktop life - and gives you many important additional advantages. Just complete the short form below and a Chem Seal representative will contact you to schedule a convenient time for an onsite inspection of your home or business. You will receive a written proposal from our representative with a no-obligation price quote. 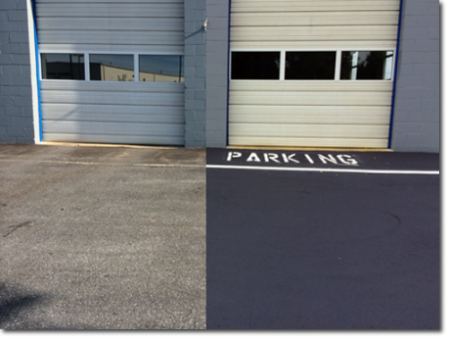 Chem Seal of Ches-Mont, Inc. has been sealing, protecting and beautifying driveways, parking lots and roads in Pottstown PA and the surrounding communities since 1987.